Last night was the UFC’s 2nd event of the year, UFC Fight Night 59 in Boston. The main event was a number 1 contender fight between the Irish superstar, #6 ranked Featherweight Conor McGregor and his opponent the German kickboxer, #11 Dennis Siver. The event featured many interesting fights including a rematch between #4 Donald Cerrone and #5 Benson Henderson, but at the end of the day the night was all about one man. The Notorious Conor McGregor. McGregor is labeled by many as the UFC’s newest superstar. He got a ton of media attention leading up to the fight, the UFC’s promotional department was firing on all cylinders putting out promos and other videos all week long to help sell the fight. McGregor clearly feels very comfortable with a camera in his face and did an excellent job in promoting the fight. Conor was a heavy favorite heading into the fight yesterday and he showed why. His opponent Dennis Siver was no pushover, Siver has been in the UFC since 2007, he’s fought 18 times in the organization, and he’s fought top 10 contenders in both the Featherweight (145lbs) and Lightweight (155lbs) divisions. 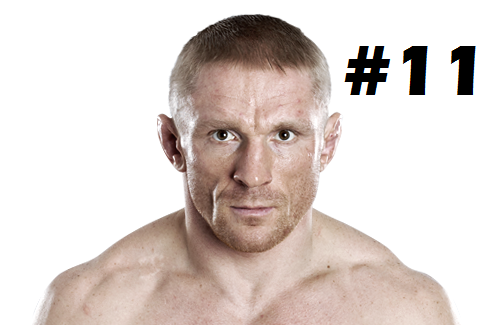 There is no doubt that Dennis Siver is a legit top 15 talent. With all of that being said he still had nothing for the Irish superstar. Not many people thought Siver could upset McGregor, but I don’t think anybody saw him getting dominated so easily. The fight wasn’t even close. McGregor was in control from the start of the 1st round up until he TKO’d Siver early in the 2nd round. He showed his trademark unorthodox striking style and absolutely dominated the fight in range. His movement was fluid and smooth, and when he landed he made the strikes count. Almost all of his punches were significant strikes. He figured out Sivers timing early on in the fight and he kept landing lighting fast straight left punches that caused some visible damage on Sivers face. With this win McGregor is now 5-0 in the UFC and has earned a title shot against the champion, one of the greatest fighters of all time #1 Jose Aldo. This is without a doubt the biggest fight in the history of the UFC’s featherweight division. UFC President Dana White has already said that they are targeting the fight for UFC 187 which is scheduled to be on May 23rd in Las Vegas, Nevada. Aldo has always been a dominant champion but he’s never really gotten the recognition for his accomplishments. This is partially due to the fact that he doesn’t speak English and partially due to the fact that he fights at a lower weight class. This fight is huge for him as well because more people are going to be watching him fight than every before. Aldo has already beat the #2, #3, #4 & #5 ranked featherweights in the division so it makes sense for him to fight McGregor next. As if I wasn’t already excited for that fight, the two men had a somewhat weird encounter when McGregor jumped out of the cage after his win to confront the champion who was watching the fights cageside. I absolutely loved this moment, and it made me like/respect Aldo even more. Even though McGregor was yelling in his face like a madman, Aldo didn’t even flinch once and looked like even more of a badass by just laughing at McGregor during the entire encounter. That right there is a confident man. I cannot wait for these two gifted athletes to fight in May. (To see a GIF of the confrontation click HERE). The rest of the fights were a little underwhelming. The rematch between #4 Cowboy Cerrone & #5 Benson Henderson didn’t really live up to the hype. Neither fighter was able to consistently pull the trigger and as a result it ended up being a very close fight. All 3 judges gave the fight to Cerrone although that was somewhat controversial since a large group of people thought Henderson won. Since no one fighter really did anything to pull ahead in the scorecards I would have been fine no matter what the judges had said. To be fair though Cerrone just fought 2 weeks ago at UFC 182 so it’s understandable that he wasn’t 100% for this fight. 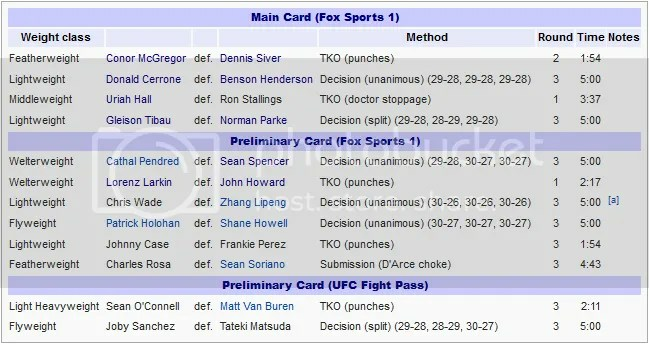 The rest of the card was nothing special really, although Urijah Hall did pick up another TKO win over Ron Stallings. Overall, the night was a somewhat underwhelming but the main event made up for everything. 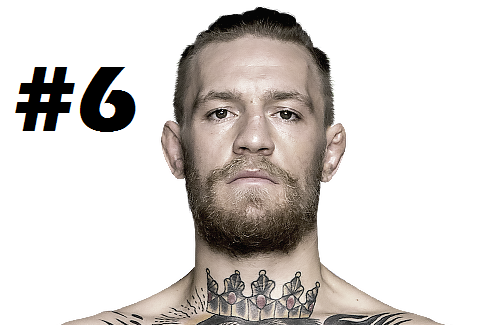 Conor McGregor is truly a once in a lifetime athlete and its a joy to see him fight in the UFC. The next UFC event will be on next Saturday Jaunary 24th. 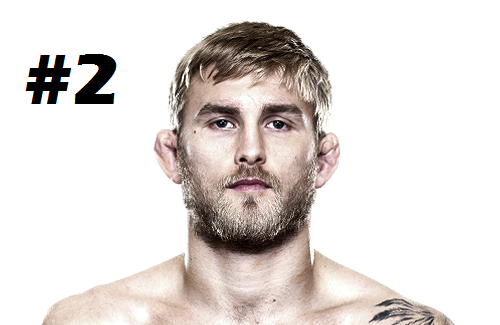 It’s UFC on Fox 14: Gustafsson vs. Johnson which will be held in Stockholm Sweden. 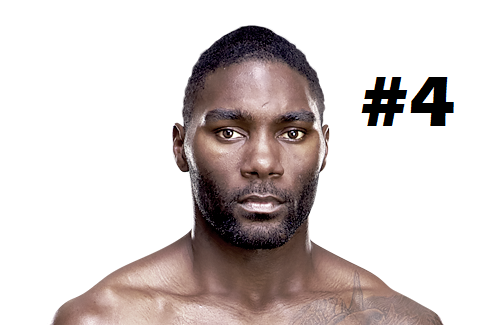 The main event is #2 Alexander Gustafsson vs #4 Anthony Johnson, the winner will be the next man to challenge the champion #1 Jon Jones. I’ll be writing an event preview for it soon. Can’t wait!